You can help families experiencing homelessness and support them in developing the skills necessary for independence. Our supporters belong to a variety of faiths, and many have no religious affiliation. All are welcome. 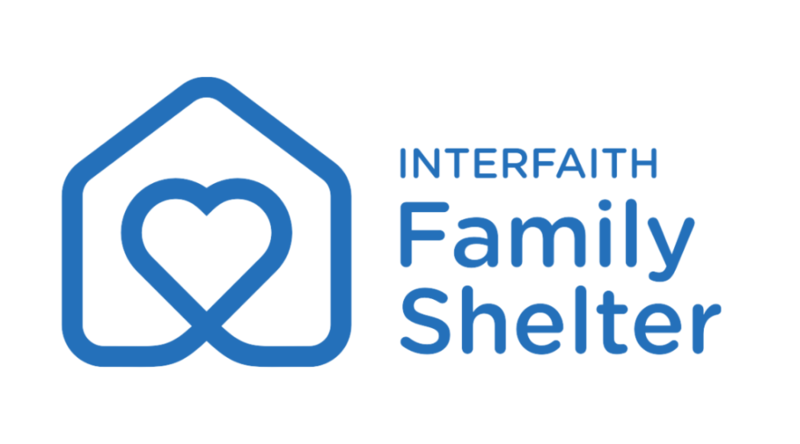 Interfaith Family Shelter is rolling out a new brand, including this new logo. We hope you agree that it helps to convey what Interfaith Family Shelter has come to stand for since its inception more than 30 years ago: sheltering families and strengthening community. Rest assured that while the outward image is refreshed, the core services and commitment to families remains the same. Join our mailing list to receive periodic news of upcoming events and opportunities.